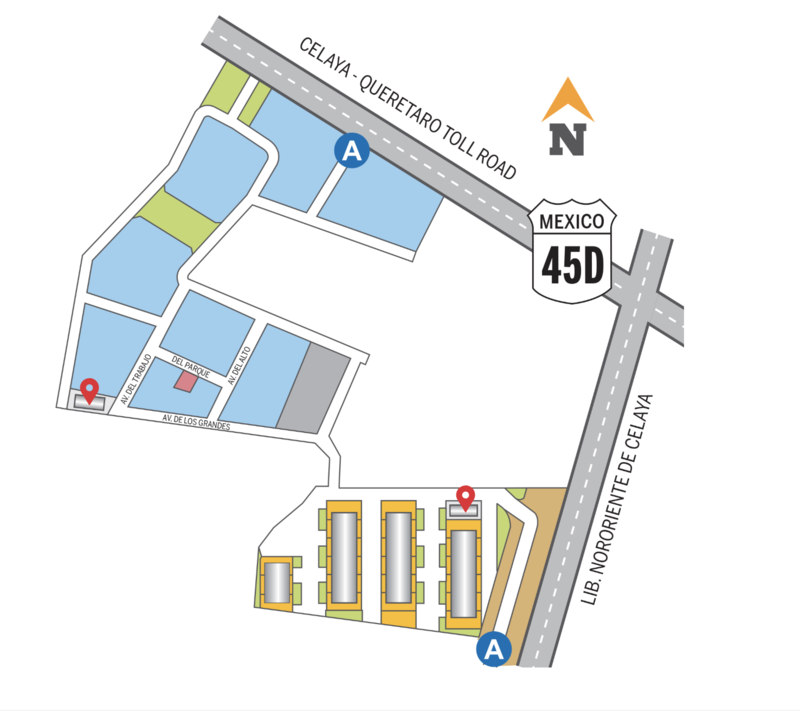 El Grande’s 151-acre, state-of-the-art gated Industrial Park is the first of its kind. 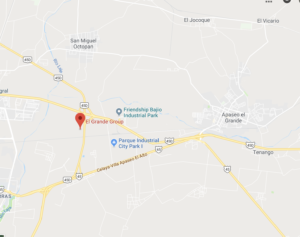 Strategically located in Celaya-Apaseo El Grande, Guanajuato, El Grande Industrial Park lies in an ideal location within the highly lucrative Bajio Industrial Corridor. 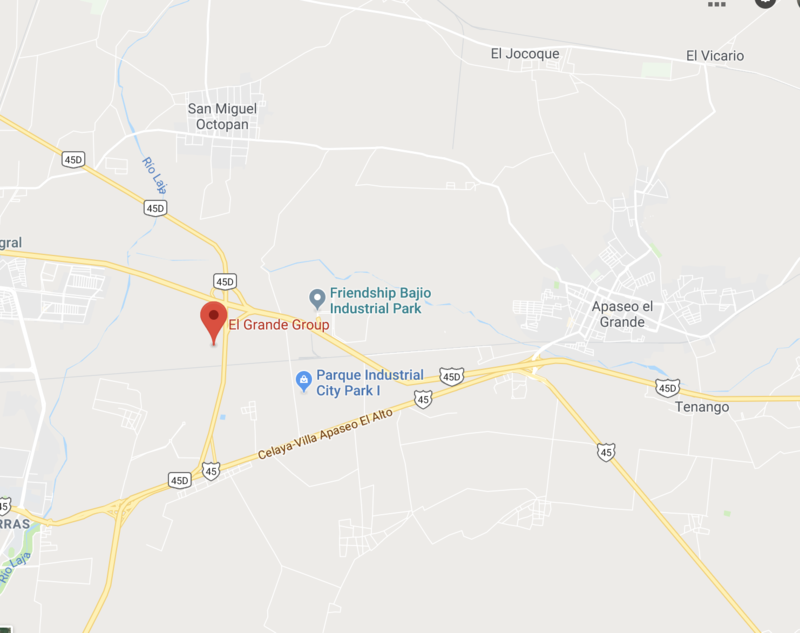 The Bajio Industrial Corridor is a large industrial hub with dozens of automotive, aerospace, and other OEM suppliers, including international corporations from countries like the U.S., Canada, Italy, France, and Taiwan. The area is advantageous in terms of natural resources, labor costs, security and safety, specialized workforce, as well as its highly developed infrastructure. 40 acres and contains our Master Planned Park. 22 facilities of 39,192 FT2 each. The units may be subdivided as needed. Zone 2 includes 30 acres on the northwest side of Zone 1. Clients who require facilities with characteristics different than those found in Zone 1 can lease or buy sites in Zone 2. 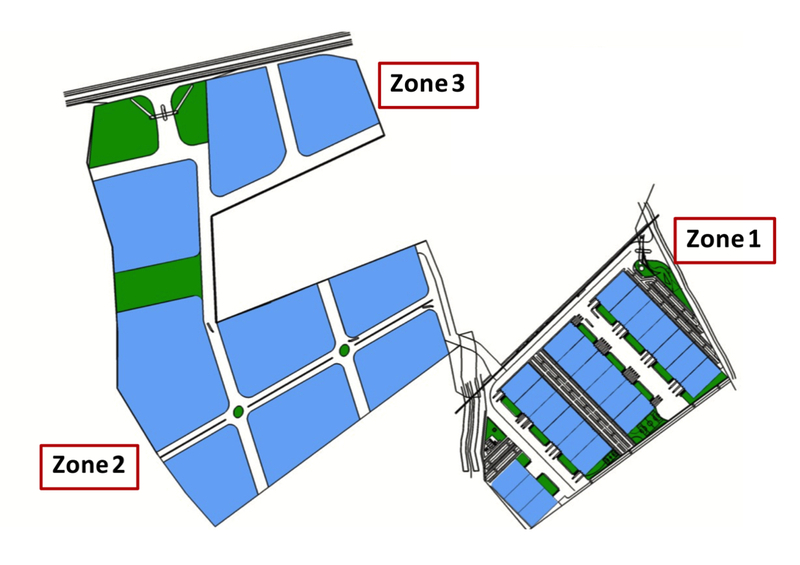 Zone 2 is for manufacturing companies who wish to be in the industrial park to benefit from the amenities and in-place infrastructure but have particular needs and/or special build-to-suit requirements. Zone 3 includes 81 acres on the north side of Zone 2. Clients who want to lease or buy a facility with characteristics different than those in our Master Planned community can do so in Zone 3. 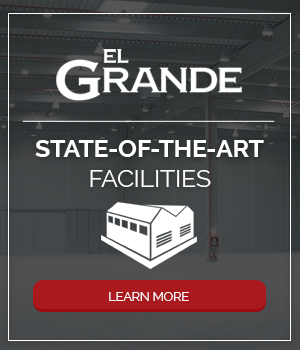 El Grande experts will work with clients for interior fit-up of non-standard requirements based on their manufacturing needs. Well planned infrastructure and in-place utility services include electric, telephone, fiber optic Internet, natural gas, as well as city water services with three on-site water wells. This central location is ideal for access to highly profitable Mexican markets. Materials and vendor sourcing easily accessed. Educational opportunities here are excellent with access to universities and technical campuses. A solid, continuously improving infrastructure that enhances cost savings in terms of real estate, labor rates, and freight movement. The nearby major construction project of the Los Ramones Natural Gas Pipeline will bring many opportunities for companies servicing the industry’s infrastructure system. Easy access to all major highways leading to ports, major cities and industrial clusters. Direct flights are available from major cities in the U.S. to two airports that are within a one-hour travel time from Celaya-Apaseo El Grande.